At Birchmount Dental Group, our dentists are proud to offer Invisalign®, an effective and flexible orthodontic treatment for our Scarborough patients who are looking to conveniently and comfortably straighten teeth, close gaps, and improve oral function. These aligner trays are made of smooth, comfortable and virtually invisible plastic that you wear over your teeth. They gradually and gently shift your teeth into place. There are no metal brackets to attach and no wires to tighten. You just pop in a new set of aligners approximately every two weeks, until your treatment is complete. You’ll achieve your ideal smile with little interference to your daily life. 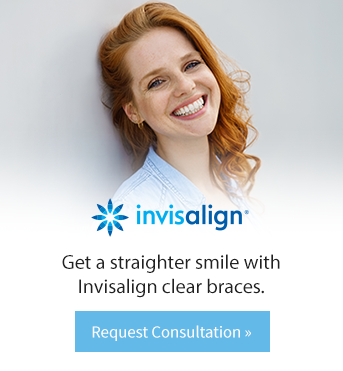 It's just so much easier to straighten your teeth with Invisalign®. Invisalign® aligner trays are not only smooth and some people may consider them comfortable to wear, but they're also removable. That means you can continue doing all the things you normally would, including brushing and flossing your teeth and eating whatever you like.